​The Denton Media Company partners with Vision Data. November 30, 2017 - RENSSELAER, NEW YORK – The Denton Media Company has chosen Vision Data for it’s flagship publication, The Denton Record-Chronicle in Denton, Texas. 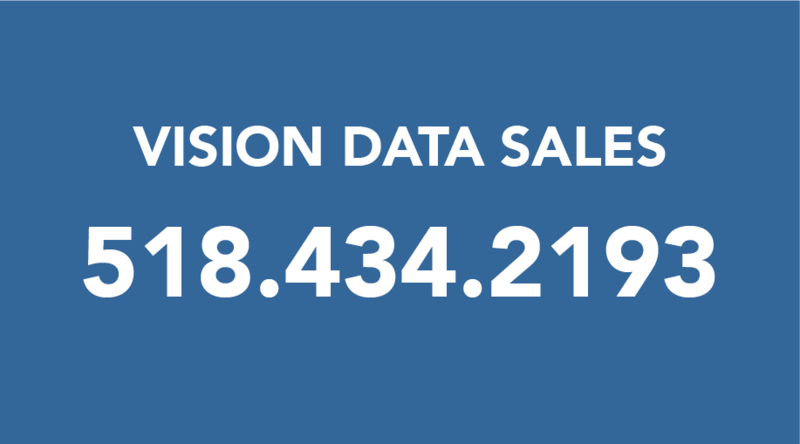 Vision Data, headquartered in Rensselaer, NY will provide their Total Advertising application software for the advertising, sales and CRM management, retail layout and classified pagination. In addition to advertising, The Record-Chronicle will also be migrating to Vision Data’s Total Circulation System for all of their customer service and single copy management, as well as Vision Ad Tracking System to manage their ad production and creative services. The Vision Total Advertising System handles all accounting, credit and billing functions for print as well as the on-line products and includes full electronic tearsheet functionality and e-statements. All data will be converted from multiple system platforms to the Vision Data system and loaded for uninterrupted use after a detailed training program that includes sessions at the Vision Data training center along with ongoing training as the applications roll out. The system includes the VisionWeb suite and VisionWeb’s browser sales management tools for their outside sales staff enabling instant real-time access to sales and account information, CRM and ad entry. The browser based VisionWeb Manager client tool provides instant dashboard reporting for MTD budget analysis, average sales and top advertiser/sales rep data along with drill down functionality. The VisionWeb Home Entry System will allow individuals the ability to place their own classified ads and circulation changes, 24-hours per day, handling ad and subscription payment, via credit card, or direct charges for established accounts with approved credit. Rating and product placement are handled through a single rating engine for both the on-line and print products, housed in the server, hosted by Vision Data. The print products will use the Vision Total Layout system to design and layout their pages for ROP and Classified. The Vision Total Advertising System will also interface directly to Vision Ad Tracking, Vision Data’s browser designed ad tracking and production management system allows ad reps and advertisers to access and proof their ads from any web enabled device. Vision’s single database design will allow the Denton Record-Chronicle to replace multiple systems with a single fluid, real time application that incorporates CRM, electronic order entry, ad creation, proofing, layout/pagination and billing. About Vision Data - Vision Data Equipment Corp. offers advertising, sales management/CRM, circulation management, online marketing, pagination, retail layout and ad tracking solutions for media groups including Pioneer News Group, Shaw Media, Community Newspaper Holdings Inc and Community Newspapers Inc. With more than 3,000 local newspaper publications relying on its solutions, Vision Data offers self hosted, SaaS and IaaS solutions designed to meet each newspapers budget. Their motto – Strong Accounting Driving Marketing provides the platform of quality accounting systems designed to increase market share and streamline overhead. Visit our web site at www.vdata.com.